3. After loaded into containers, all equipments will be well fixed to the containers. 4. Delivery Detail: 30-35 days, depend on the condition. 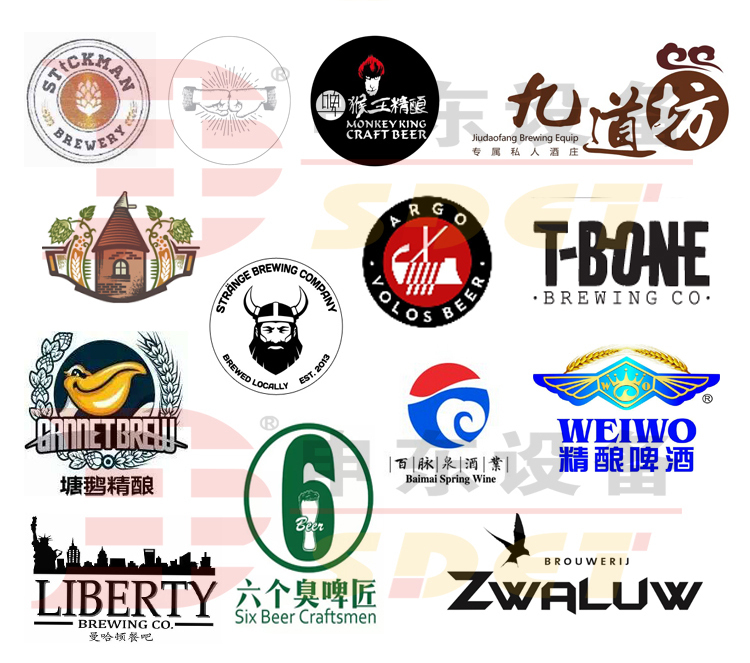 Why Choose Shendong draft brewery equipment? 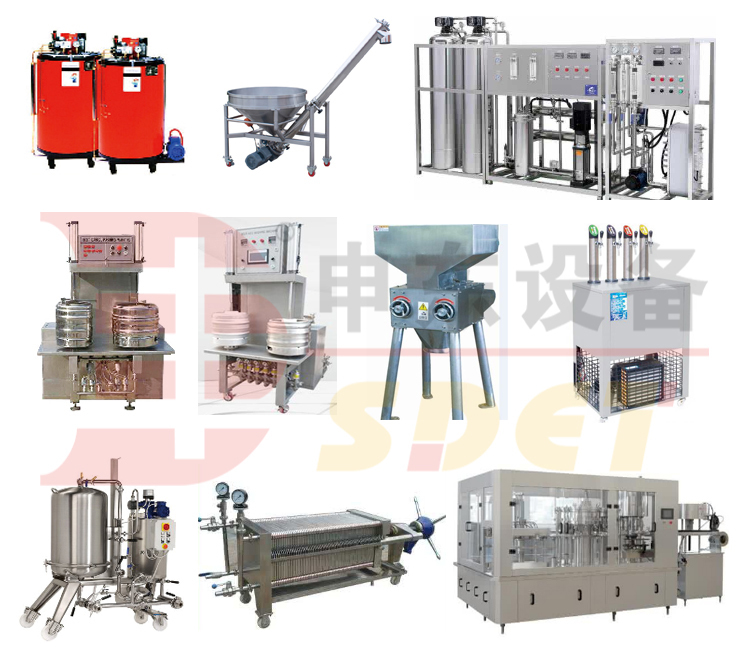 With more than 10 years' experience in making and selling brewery equipment, beer and other beverage filling line, Shandong Shendong Equipment Technology Co., Ltd can provide the most professional brewing solutions for you.We will help you to make more profit. 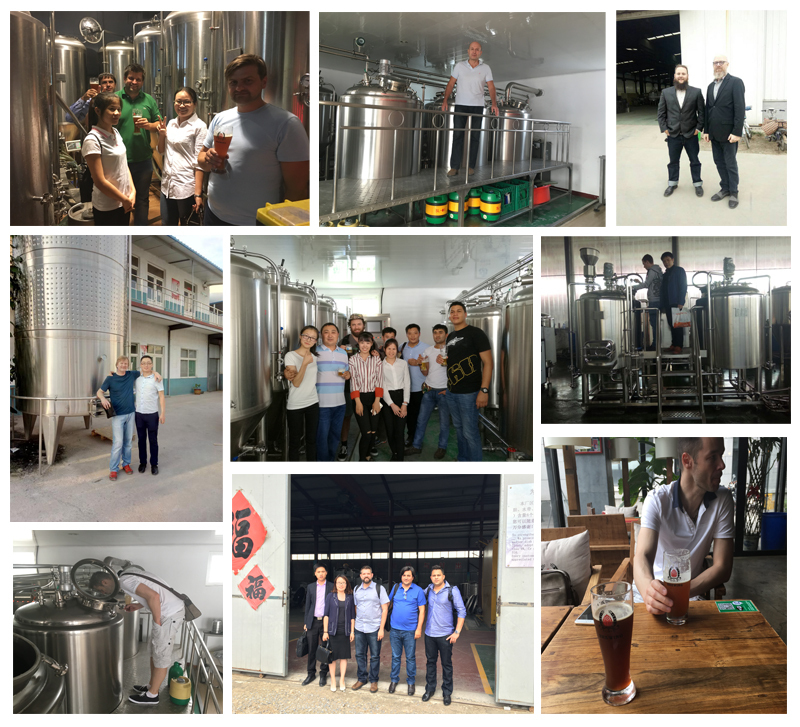 Dedicated team of consulting Services & Professional team of technical engineers Complete quality control and management systems Industry leading manufacturing brewery equipment 1~5Years After-sales services for our goods. 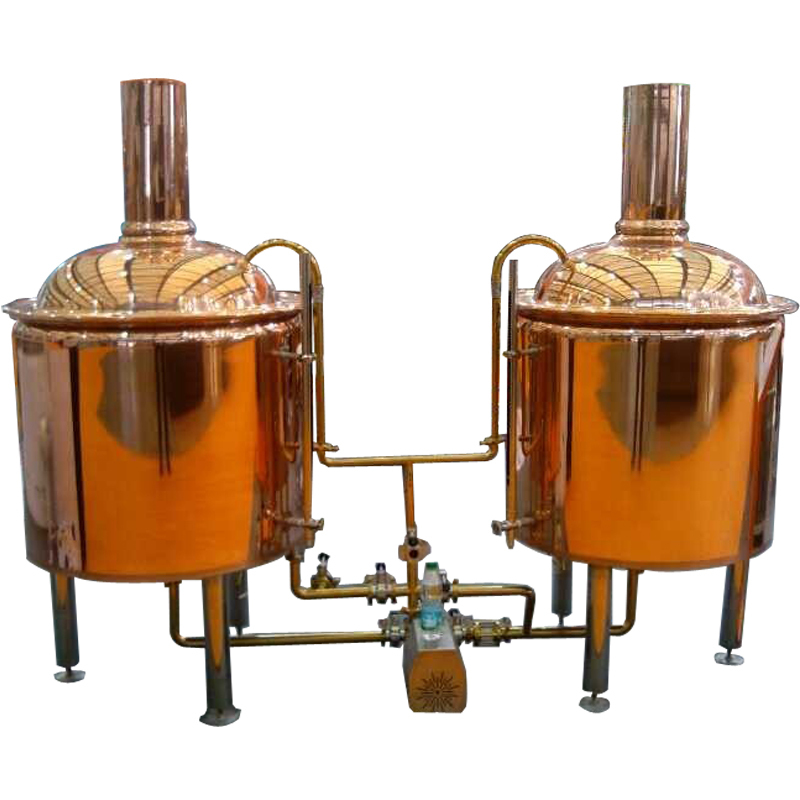 The 200l copper brewery equipment is a good choice for the barbecue or restaurant who brew the beer for the customer at scene. If any questions and problems, please feel free to contact us and we will send you more detail information to you. The brewhouse system could be included two-vessels brew house, three-vessels brew house and four-vessels brew house. Two-vessels brew house includes mash/lauter tun and kettle/whirlpool tank. Three-vessels includes mash tank, lauter tun and kettle/whirlpool tank. Four-vessels includes mash tank, lauter tun, boiling kettle and whirlpool tank. The capacity is bigger, the vessels is more. 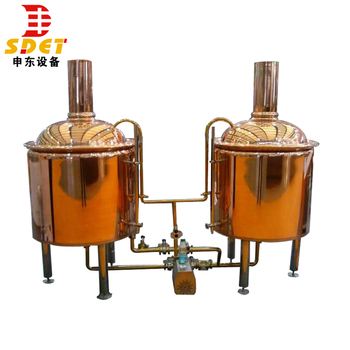 It is just in order to reduce the brewing time, improve the working efficiency. 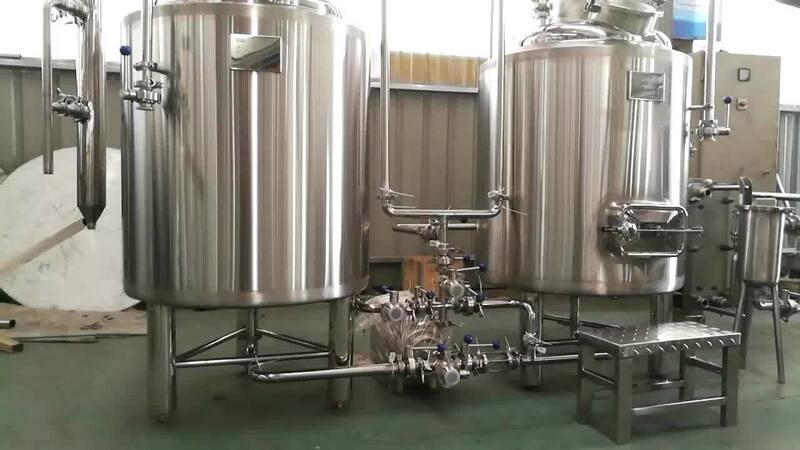 Composed of fermenting tank, bbt and yeast tank, the fermentation process is controlled by PLC program, which can automatically accomplish the temperature control and exhaust. Top seal head, thickness: 3.0mm. The inner surface polished to Ra0.6um. Equipped with: Cone 60° resist compression design, Side manhole: 430*330mm. With sampling valve, vent valve, safety valve, pressure gauge, solenoid valve and etc. Fermentation tank pressure: Design pressure 0.3MPa; Working pressure 0.15Mpa. Cleaning System: CIP washing unit: Comprehensive cleaning. 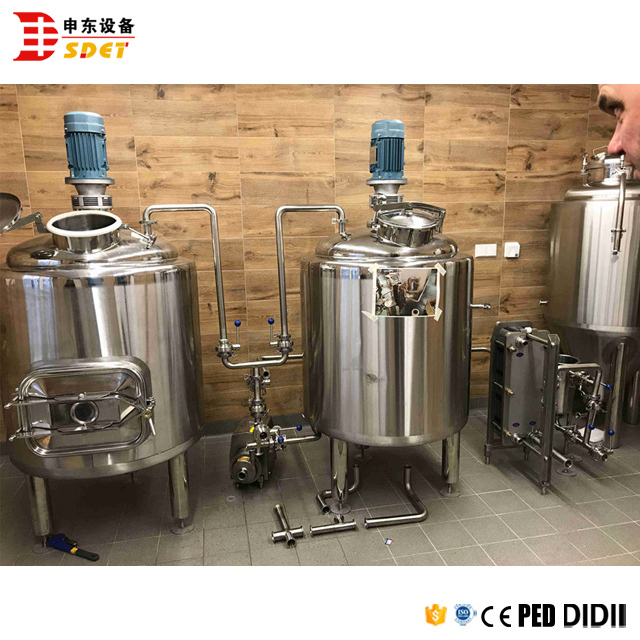 For brewery equipment, usually adopt CIP cleaning device including NaOH alkali liquor tank, hydrogen peroxide dolution tank adn sanitary grade pump. 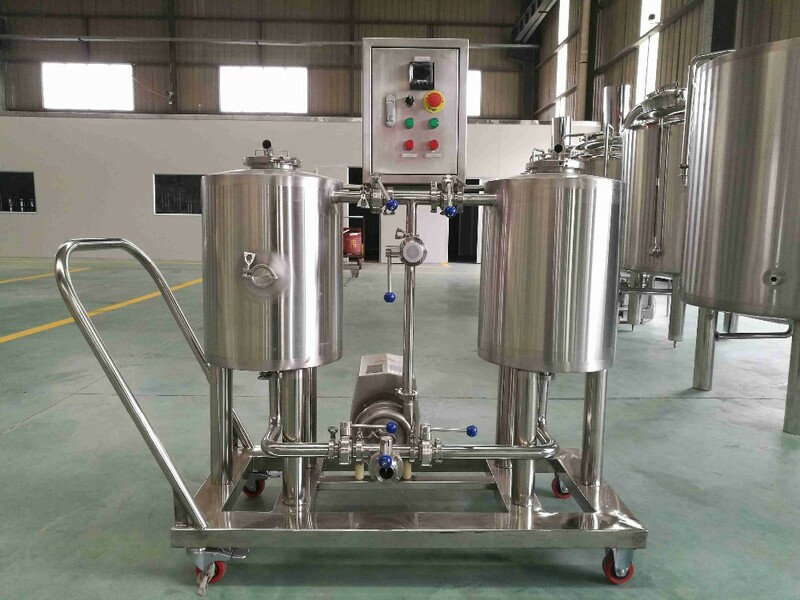 Make a best suitable combination including NaOH alkali liquor tank,cleaning pump and valves on one movable car, that can operate flexable and simple, which can use forvarious types of small and middle brwery equipment cleaning, disinfected throughly and no dead corner. Cycling and closed cleaning system, replaces the manual operation, and make cleaning effect easier to be aseptic condition.Same time, this system can be customized as manual, semi- automatic and fully automatic control according customers'different requirements. We can provide PID semic automatic control system and PLC touch screen full automatic control system. 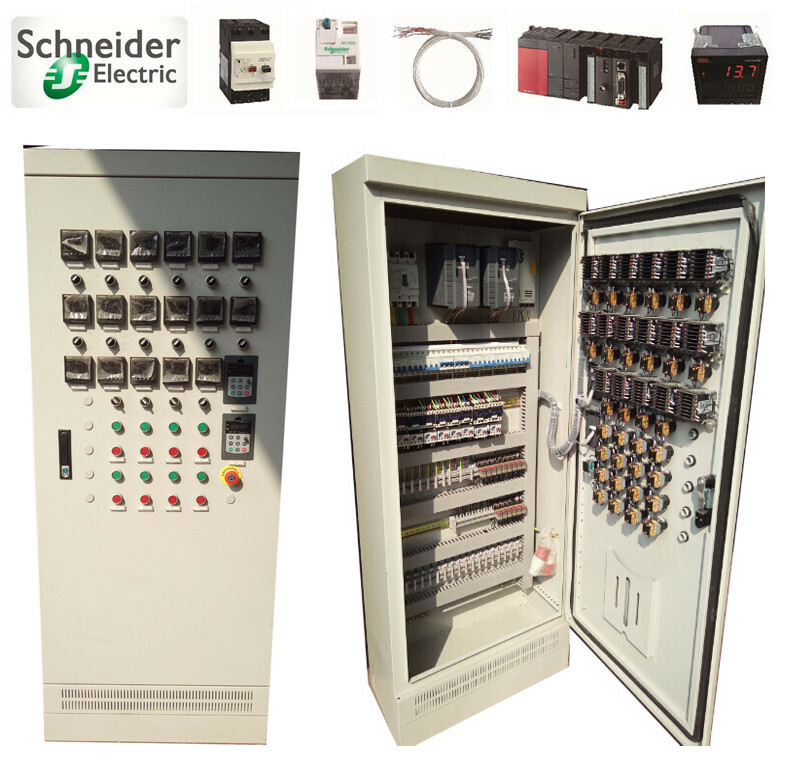 Optional brand: Siemens, Schneider, LG, etc. 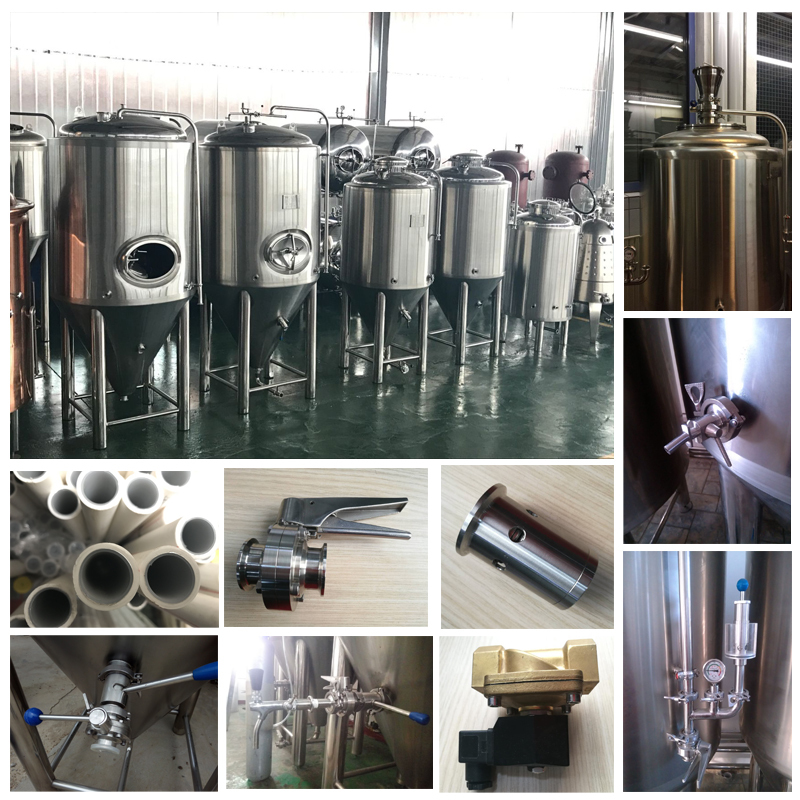 If you are interested in our brewery equipment, click the photos as below, and you can send us the inquiry. 3. After loaded into containers, all brewery equipment will be well fixed to the containers. Each year we have many clients come to visit out workshop and our brewery equipment. Everyone is satisfied with our products and our beer. 1. 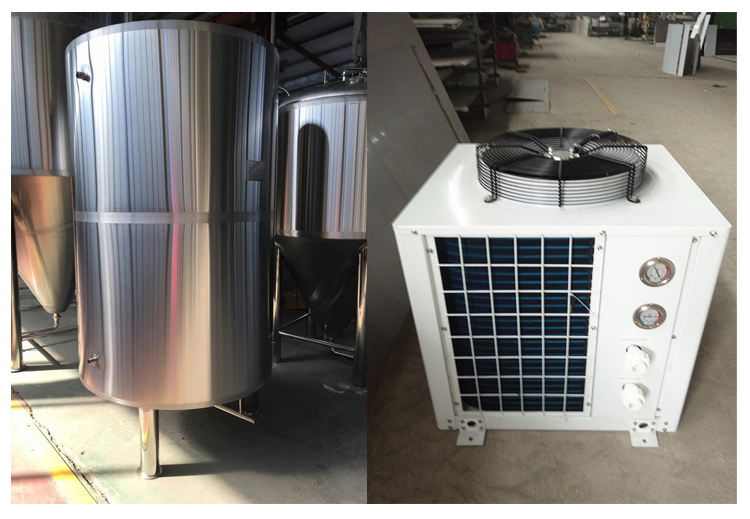 Do you offer turnkey/complete brewery equipment? 2. 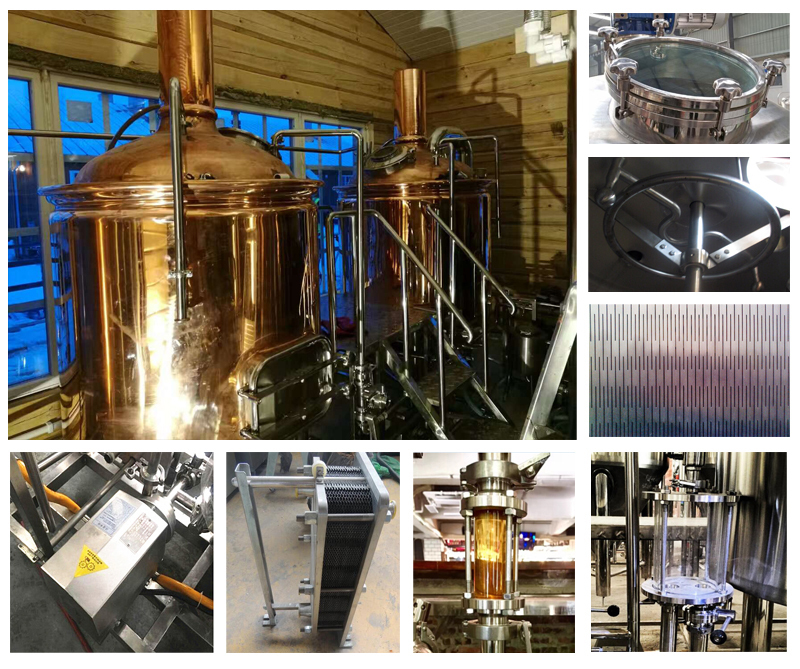 What stainless steel you use to manufacture brewery equipment? We have ISO9001, CE and PED certificate. SGS and other certificate can be made based on client’s requirement. 6. 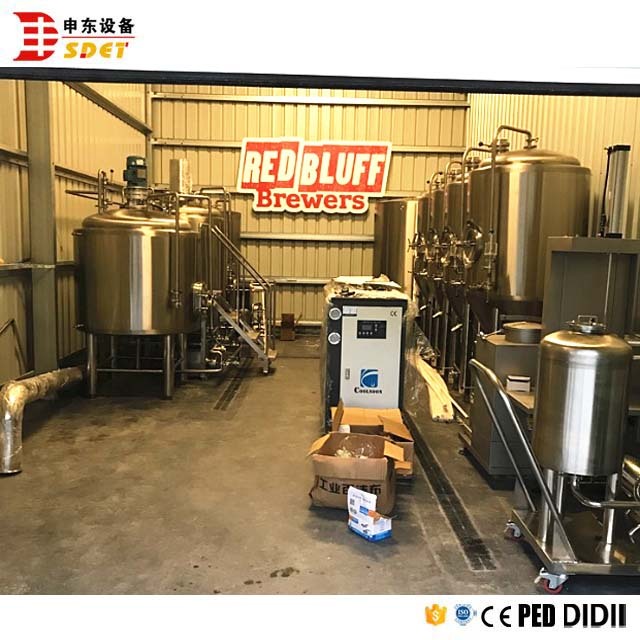 How to install the draft brewery equipment? 7. How long is your warranty for brewery equipment?